I truly believe that God’s Word is medicine for your heart. If you want to know the heart of God, if you want your desires to line up with His plan, if you want to apply His eternal truths to your everyday life, then you need to spend time in His Word. 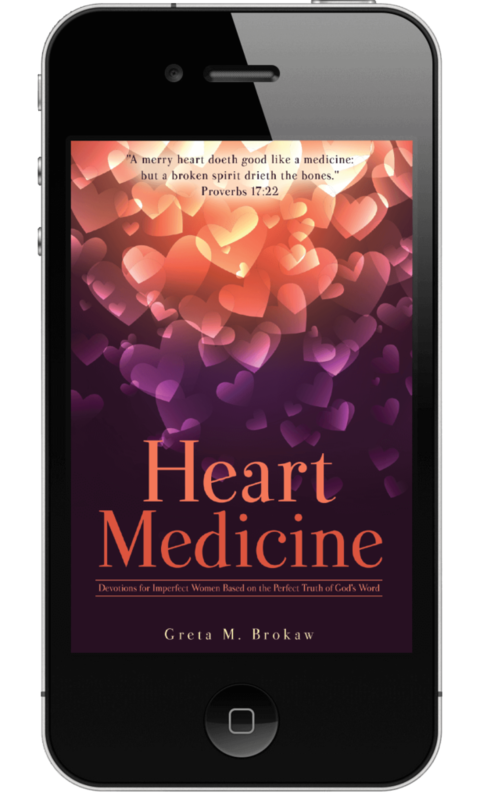 By God’s grace, Heart Medicine Devotionals can lead you closer to knowing and growing in Him. You can overdo a lot of things, but you can’t overdose on the medicine of the Word of God (Proverbs 22:17). 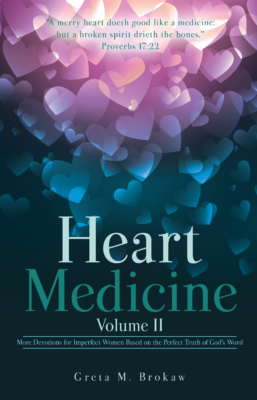 With that in mind, Heart Medicine Volume II brings you another 75 thought-provoking, scripture-filled devotionals, designed to get you hooked on the perfect, life-changing truth of the Bible. You’ll meet more imperfect people like Hezekiah, Rahab, and Nicodemus, and you’ll see the long-suffering love of God in the lives of people like Mark, Martha, and the woman at the well. Most importantly, you’ll find hope for your heart, as you realize that God is at work in everything that concerns you, and His Word is the antidote for all that ails you. Don’t miss this dose of Heart Medicine. It might be just what your heart needs. The beautiful thing about God’s grace is that it is not earned; it is a gift. If we had obligations to fulfill to receive the Lord’s grace, then it wouldn’t really be grace at all. In fact, what we have earned through our sin is death, but the grace of the Lord and the blood of Jesus Christ have brought us eternal life. But if we have all earned death for our sin and need the redemption by our Savior, why do Christians feel a need to be perfect? To be impenetrable? To impress, or even outperform, one another? The truth is, we are not perfect, nor will we ever be anywhere near to perfect in this life. 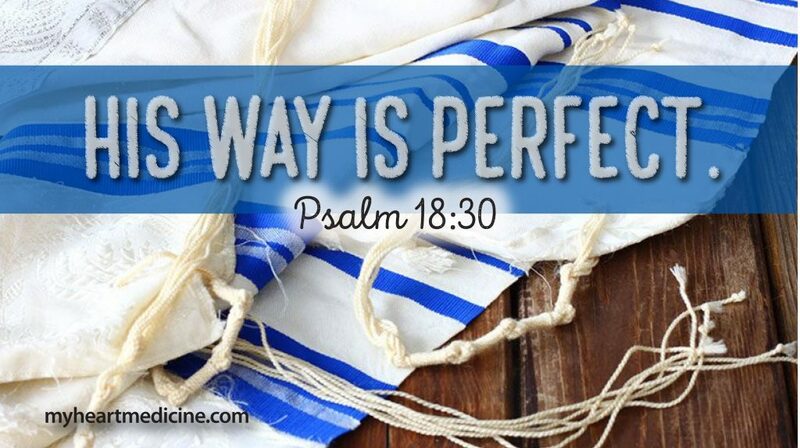 But in spite of our imperfections, we can receive the amazing and perfect grace of God. There’s no better example of this than 2 Corinthians 12: 9-10. Heart Medicine is a community for imperfect Christians who are eager to learn about and live by God’s Word. His grace covers our imperfections, and Jesus meets you where you are and loves you the way you are. 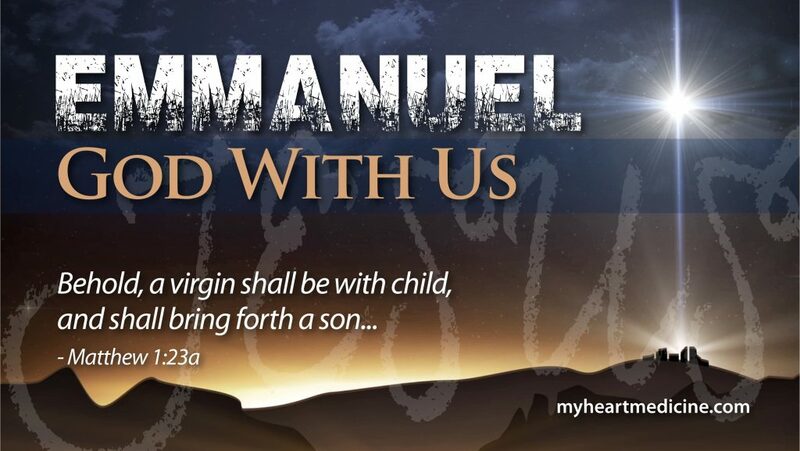 But He will not leave you the same. And whatever you may have lost along the way, God can restore, and He can use you for His glory. Interested in having Greta Brokaw sing and/or speak at your church or women’s event? Interested in joining the Heart Medicine mailing list? Complete this form or use the info below.